Access to Cape Wrath, the final calling point for the Cape Wrath Trail has been thrown into doubt by recent reports that the MOD is in negotiations to buy the land. 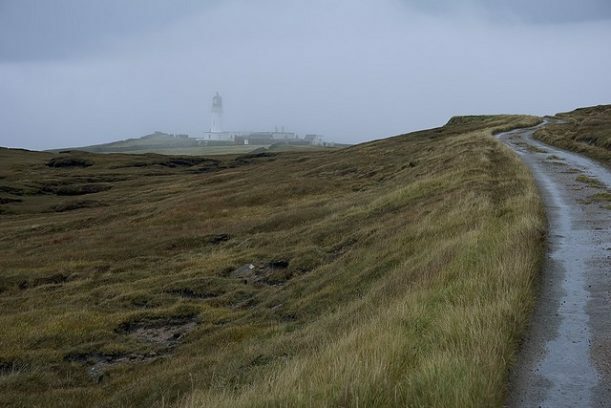 The land at the Cape is currently owned by the Northern Lighthouse Board (NLB), which is reported to be selling 58 acres round Cape Wrath Lighthouse and some buildings there. Quite what this means for access to the Cape remains unclear at this stage. The MOD already uses the peninsula as a bombing range and manages access to it for walkers. But locally there are fears that it could lead to the Cape, already closed for around 130 days a year during military exercises, being shut off completely to all but the military. The local community have made an application to buy the land which they are entitled to do under Community Right to Buy legislation and with a referendum on independence looming, this is sure to become a political issue, so we'll have to wait and see what transpires. In the meantime you can read more about this story on the BBC and Scottish Herald websites. You can keep up to date with the Community Right to Buy Application here. If you feel strongly about this issue you can also email the local MSP, Richard Lochhead. A petition to support the Durness community buy out has also been raised. You can sign it online. It is unthinkable that Cape Wrath should be turned into a military exclusion zone, from which the people of Scotland and overseas visitors are locked out. We welcome the initiative of the Durness Development Group, who are standing up not only for their own community but also in defence of Scotland's access rights, which are admired across the world. We would urge the Scottish Government to make sure that the community buy-out is speedily agreed to keep Cape Wrath open. Update May 2013 The Ministry of Defence has dramatically withdrawn its bid to extend its biggest UK bombing range at Cape Wrath, the most north-westerly point on the British mainland.